Hi everyone. Here's my DT card is for today's challenge at Addicted to CAS. The challenge is open for two weeks. 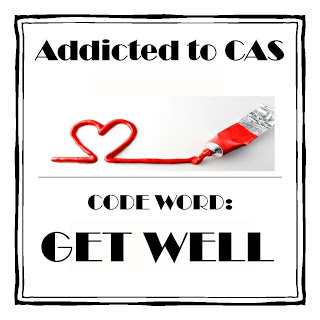 I hope I have inspired you to join in our fun challenge ... Addicted to CAS - Get Well. Come check out all the wonderful creations by the other Design Team members. What a fun card Loll, I love all the polka dots, this sure would make me smile! Fab card, Loll - love the little nursey owl! Absolute great card Loll. 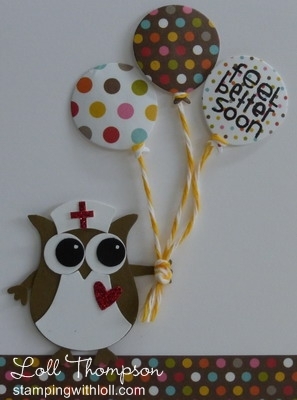 Those polka dotty balloons are fab, as is the nurse owl. Definitely made me feel better! OMGosh, this is too cute, Loll! With all the nurses in my family, your card would be a huge hit! I love the patterned papers you chose, too! Oh, so cute!! Clever turning the owl into a nurse! So fun! What can one say but...completely adorable! Love the wee nurse owl. This card would certainly cheer up anyone feeling under the weather. 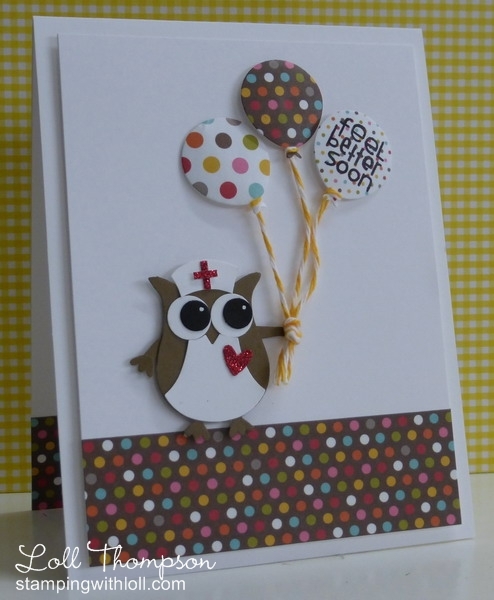 Adorable Get Well card, the polka dots are perfect choice!!! Love it. What a clever little nurse! And everybody knows that balloons make anyone feel better! What a fun card, Loll!